Thanks for stopping by. My thoughts & prayers are with all of my fellow Calgarians & Southern Albertans directly affected by the floods. Wow Carla, this is fabulous, it really pops. 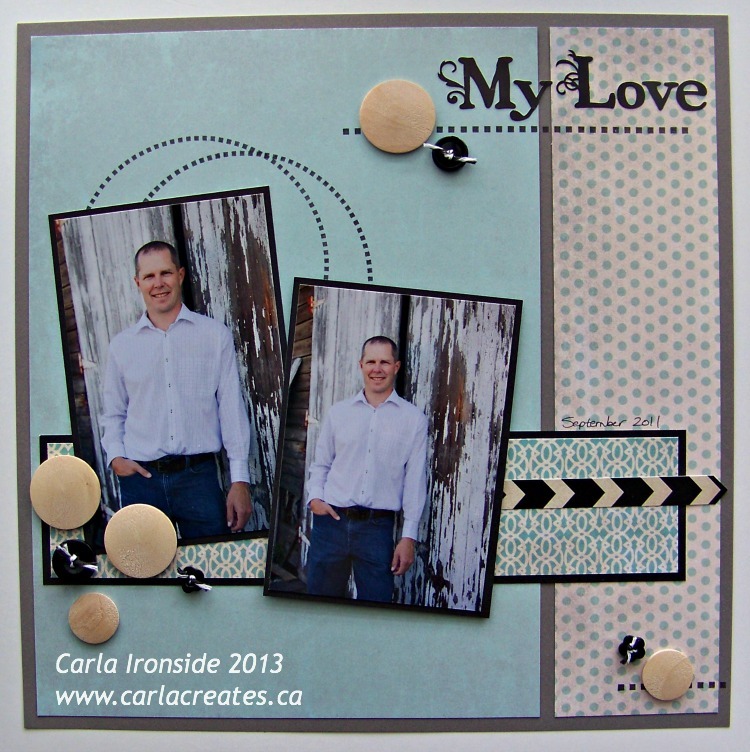 I love the soft masculine colours, the stamp set and the photos are just terrific too! Thanks for linking up with us at ScrapMuch?! Excellent masculine layout! I love it! Just gorgeous!!!! I love the choice of this paper collection for those photos, and love the simple but effective embellishing! Fabulous work! Thanks so much for joining in our ScrapMuch? Challenges!! Just stunning! Simple and elegant! Love it! Thanks for sharing with us at ScrapMuch?